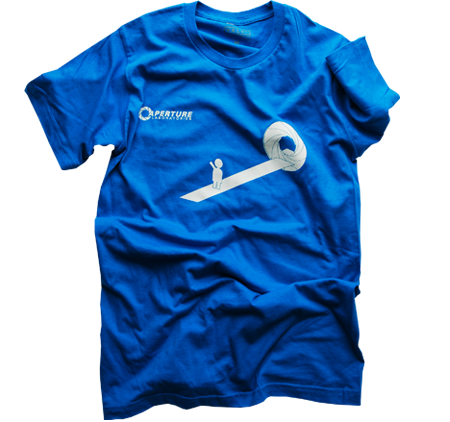 Win A Portal 2 t-shirt for International Geek Pride day!! Awesome Appear Infographic Portal 2 tee from Valve’s store! Amazing Hitchhiker’s guide towel from thinkgeek.com! Thanks Powwownow, Free video conferencing rocks! We’ll announce winners thursday.